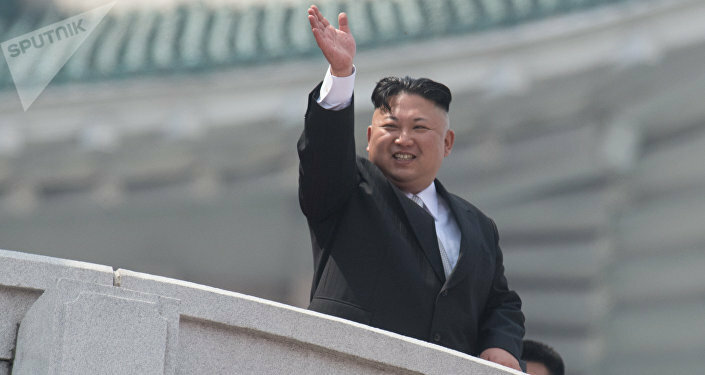 The analysis published Wednesday by the Middlebury Institute of International Studies at Monterey studied 1,304 published scientific papers in which scientists from the Democratic People's Republic of Korea (DPRK), North Korea's official name, partnered with scientists from other countries. Identifying "at least 100" papers with "identifiable significance for dual-use technology, weapons of mass destruction (WMD), or other military purposes," the think tank advises that "some of these activities may be contrary to provisions in international and national sanctions regimes." 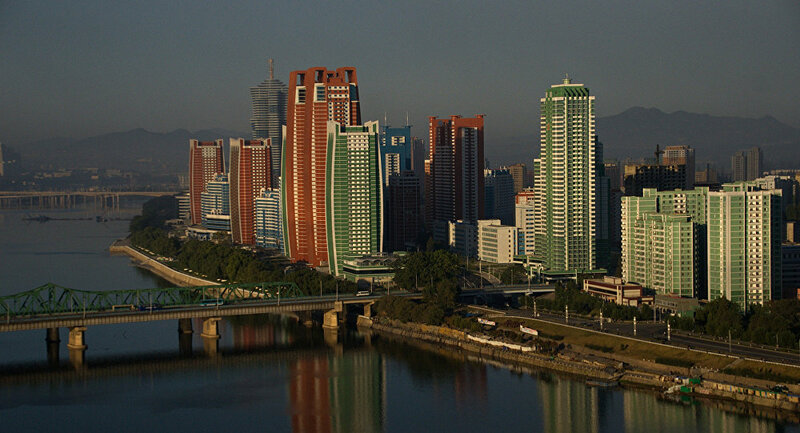 "By developing key technologies indigenously, North Korea seeks to reduce its need to import sensitive goods that might otherwise be denied to it through export controls, sanctions enforcement, or lack of funds," the report notes. "Direct collaboration between North Korean and foreign scientists is playing an expanding role in the regime's pursuit of technological advancement." Among the subjects earmarked as dangerous due to possible dual use are uranium purification, usage of high voltage cables, precision machine tools, carbon composites, laser and plasmonics research, biological research potentially of a dual-use character and cybersecurity. While some of these have obvious applications to areas of concern, such as nuclear weapons and missile targeting, others are more benign or their connections to subjects of worry far more tenuous. Another example, described anecdotally to NPR by Harvard Medical School neurosurgeon Kee Park, was indigenous medical inventions or innovations such as ultrasound machines, a medical CT scanner built from scratch and "manufacturing their own artificial knee implants." As the director of DPRK Programs for the Korean American Medical Association, Park plays a role in this cooperation by making biannual trips to North Korea to train Korean medical staff and help them to procure legal medical equipment, according to the group's website. One specific paper focused on by NPR involves an active steering system for articulated vehicles. NPR describes this as "impractical" for commercial trucking with commentary as to how it would be used in American trucking, ignoring the possibility that the DPRK might have different priorities or concerns for its vehicles. What is NPR's explanation? The system must be for 16-wheeled missile trucks, which it can no longer obtain from foreign suppliers. There's nothing barring them from building their own, though, meaning that even if NPR's suppositions were true, Pyongyang wouldn't be breaking international law. Another example cited by NPR is epidemiology — the study of infectious diseases. "When you study infectious diseases, which are a big burden in North Korea, you have to grow bacteria," Park told NPR. "That's the kind of technology that goes into creating biological weapons." But, Park asked, "Would you then say to the North Koreans and the Chinese that you cannot do research on things that kill their people?" NPR isn't actually a US state radio station, we should note: it's a publicly funded nonprofit. 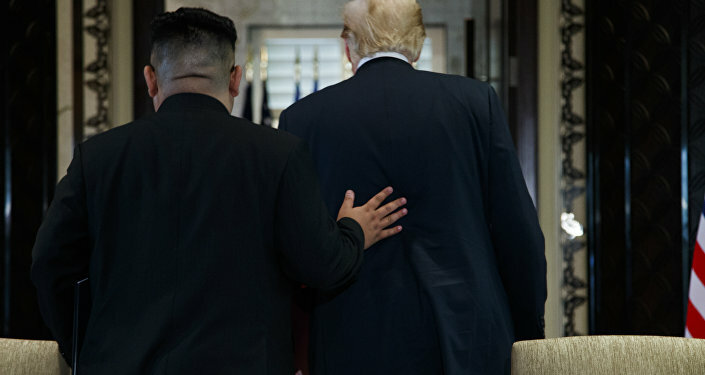 "It does certainly appear that some of this joint scholarly activity should not have been done," Elizabeth Rosenberg, a senior fellow with the Center for a New American Security and Obama-era Treasury Department official who oversaw sanctions on the DPRK, told NPR. "The definition of ‘technical assistance,' for this purpose, includes the transfer of technical data, instruction, skills, training, working knowledge and consulting services," the Wednesday report notes. "The sanctions regime may therefore provide leverage against the continuation of some areas of collaborative research." Tim Beal, a professor and author of the book "Crisis in Korea: America, China, and the Risk of War," told Radio Sputnik's Loud and Clear Thursday that "virtually all technology you can possibly think of is dual use." ​"That's the tool, if you like, because that is true," he told Sputnik, "but that's not really what it's about. There are two things here, I think. All the sanctions, of course, they want to destroy North Korea. They want to impede its economic development, they want to make it collapse, etc. etc., so that's one aspect. I think the other aspect is that as long as there's a stress on sanctions, then the United States is not going to negotiate seriously with North Korea. So, if you want to stop these negotiations… then pushing for sanctions is the way to do it." "As long as the administration thinks that sanctions [are] going to get it what it wants, then it's not going to negotiate," Beal told hosts Brian Becker and John Kiriakou. "And as long as it imposes sanctions, then the Koreans are not going to believe any promises that the Americans have benign attitudes towards them. So it puts a stopper on things." "Sanctions [are] a weapon… it's designed to increase the distress, the economic distress, [reduce] the well-being, etc. etc., of the people so that they turn against their government, and the government collapses, and you take over," he told Sputnik. "And of course it's mainly the vulnerable — the old, the children, the sick, etc. etc. — who suffer, but that doesn't concern people like Rosenberg." Although the US and North Korea came to a basic agreement about building "a lasting and stable peace regime on the Korean Peninsula" at the June 12 summit in Singapore, US economic sanctions remain in place. "The essence of the agreement they came to was that Trump would lower restrictions on exports to North Korea once Pyongyang had taken key steps to end its nuclear weapon and ballistic missile programs," Sputnik reported in July. This was despite the numerous unilateral measures taken by Pyongyang towards that end, including dismantling of its nuclear testing ground and parts of a missile engine test facility, along with having suspended nuclear and long-range missile tests. Once it became clear that the US had no intention of removing sanctions prior to complete denuclearization by the DPRK, however, Pyongyang began to prepare for a more prolonged struggle. "Sanctions will remain in place until final, fully verified denuclearization as agreed to by Chairman Kim occurs," US Secretary of State Mike Pompeo said in Tokyo on July 8, Sputnik reported. "While we are encouraged by the progress of these talks, progress alone does not justify the relaxation of the existing sanctions regime." On July 23, Rodong Sinmun, the official newspaper of the ruling Korean Workers Party, fired back, writing, "Even if [we] have to travel a long distance through snowstorms with our belts tightened, we will go straight to the people's road which was proved as immortal in the process of the 70-years-long struggle and to the road of socialism." In September, though, North Korean leader Kim Jong Un said during a joint summit with South Korean President Moon Jae In that he would be willing to dismantle the nuclear facility at Yongbyon, where plutonium and tritium for thermonuclear warheads are manufactured, in exchange for a lowering of economic sanctions by the United States.